Buy 1 for $14.55Buy 2 / Save $0.78!Buy 3 / Save $2.91! Size (inches): 1.18" X 1.18" X 4.13"
Dandelion is widely considered an invasive, unattractive weed, but must be regarded as a Godsend to the manufacturers of lawn herbicides. While the dandelion's efficacy in destroying a perfect green, carpeted lawn is undisputed, its efficacy for health matters is - or should be - of greater interest. 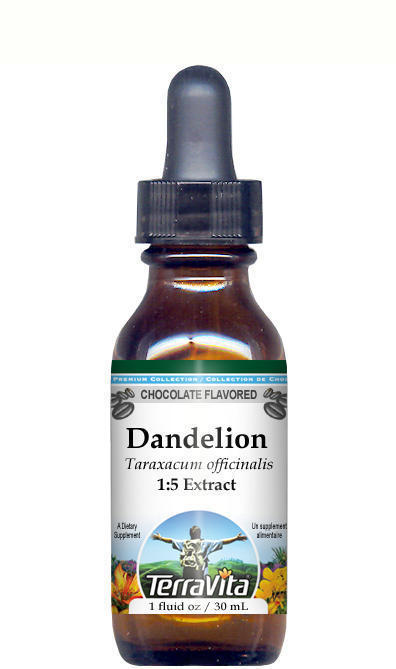 Dandelion has widely been used in foods, wines, beverages, and health preparations of all kinds worldwide. Its medicinal actions seem to target the digestive and eliminative systems of the body. Animal studies demonstrate extremely positive diuretic and bile-producing effects whereby dandelion extracts outperform chemical drugs without the side effects. Unfortunately, human trials are non-existent in these areas. Research in humans that has focused on health conditions such as cancer and diabetes has yielded positive results. However, these positive findings are attributed to herbal blends and, consequently, dandelion's specific effect on these results can only be surmised. Not to be used during pregnancy and lactation. Do not exceed recommended dose.